Where is the Boreal Forest? Boreal forest is the largest terrestrial ecosystem on Earth, covering some 11% of land area on the planet. It stretches across the interiors of Siberia, northern Asia, and northern Europe, and occupies millions of acres of North America. 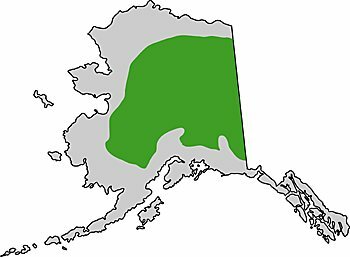 In Alaska, boreal forest is found in the Interior lands between the Brooks Range in the north and the Coast Range in the south. At higher elevations within the broad range of the boreal forest ecosystem are pockets of alpine tundra vegetation, and along the margins of its range, it intergrades with lowland or arctic tundra.